Postnatal Depression is a concern of many mums to be, it needn’t be, but what can you do to prevent it? It could appear that postnatal depression is something to write about after natural childbirth in the natural order of fertility and childbirth as it would seem sensible for postnatal depression to happen after the birth and it does. But if you want to prevent it completely, you need to understand what causes it and how to prevent it in pregnancy, not wait until the birth, because it is preventable. New mums or second or third time mums who get postnatal depression don’t suddenly get it after the birth, they will have been worrying or have a stress throughout the pregnancy. 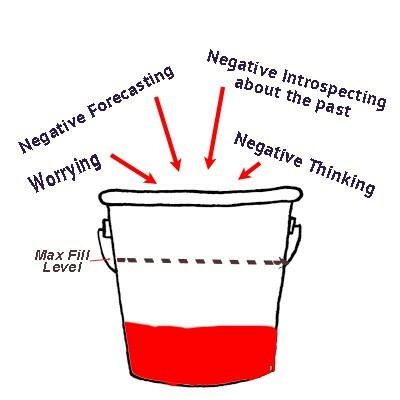 When you negatively forecast the future, or negatively introspect about the past, that negativity is converted to anxiety and is stored up in your stress bucket. 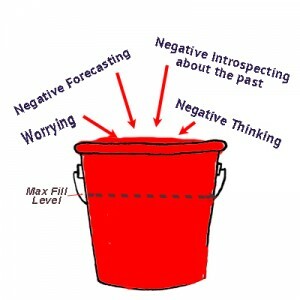 Your stress bucket has a ‘max fill level’ and as long as you stay below the max fill level, you’re OK, you can empty it in your sleep at night and when you wake up in the morning you are happy, relaxed, re-energised and looking forward to the day. But if you put too much in, you start to fill up your stress bucket and once it goes over the max fill level, you start to lose intellectual control and another part of your brain steps in to help, the primitive part which deals with crisis, emergency and danger and then your brain is encouraged to focus on the negative and find more possible problems – it hijacks your imagination and starts ‘what if-ing’ and imaging the worst possible scenario. What is really important to remember though, is that your brain does not know the difference between imagination and reality, so all these things you are imagining could go wrong, your brain believes them and you are negatively forecasting again. Sadly, in our culture, for many generations we have been told that delivering a baby involves many hours of painfully agonising work, to be faced with fear and trepidation. We have all heard stories from well-meaning friends and family that send shivers up our spines, and so the legacy continues. We experience pain in childbirth, in part because we very much expect to! So the birth can become a traumatic experience for mum, she has had anxiety throughout the pregnancy, believes giving birth is going to be painful and difficult and at the point of birth, her stress bucket overflows – this is the point that post natal depression is formed. Fortunately this doesn’t have to happen and is easily preventable. If you think you have anxiety or you know you are worrying about things or what it will be like, what could happen, the difficulties of being a mum etc. Get help to deal with the anxiety. Hypnotherapy helps prevent postnatal depression and reduces anxiety. If you opt for using hypnotherapy for a natural childbirth, you will learn this along the way and if you have had help for fertility with hypnotherapy, you will have already learned what to do or rather what not to do! 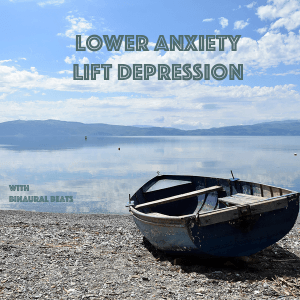 There are techniques to teach you how to not worry such as mindfulness and hypnotherapy which will be hugely helpful and effective at preventing postnatal depression.